This entry was posted in Adultery victims, Bad marriages, Consolation, Desperate causes, Family peace, Healing, Housewives, Impossible causes, Married women, Mothers, Novena, Widows by sandra dipasqua. Bookmark the permalink. hello!,I like your writing so a lot! percentage we keep in touch more approximately your article on AOL? I require an expert in this house to resolve my problem. Maybe that is you! Having a look ahead to see you. Thank you Dear Saint Rita for listening and hearing me. 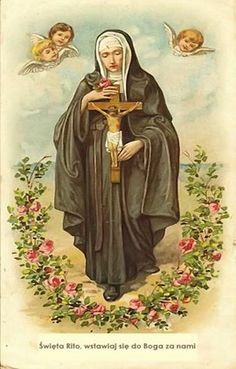 Thank you Dear Saint Rita. Thank you St. Rita for all your help !